← Guernsey Welcomes the Olympic Torch! This March, Guernsey offers its charms to food lovers and walkers alike with its Tasty Walks Festival. Three itineraries have been carefully selected for you to discover and enjoy the island’s unique past, natural beauty and culinary excellence. 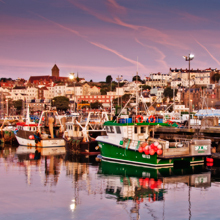 Once you have found out what the Romans did for the island, why the local folklore is still going strong and the people that Guernsey hosted over the last century, you will relax with a well deserved meal at one of the island’s participating restaurants. The Romans roamed its streets and the privateers traded in its taverns…St Peter Port remains a delightful and charming little town well worth exploring. The Stitch in Time Tasty Walk will reveal most of its secrets. As it is an evening event why not stay in town overnight after your meal? The Pandora Hotel is ideally located and has some great accommodation options throughout the spring. 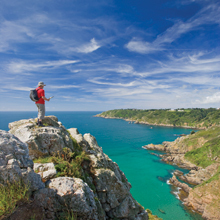 As an essential part of island life, coastal walking will reveal Guernsey’s rugged yet stunning charms. You will be guided through beaches, 19th century fortifications and the intriguing “Fairy Ring”, an ancient circle of stones. The walk will end for lunch at The Imperial Hotel on the south-west corner of the island, a perfect place to stay for a few more days. The Queen, Victor Hugo and the German occupation have all fuelled the local story telling over the years. This walk is about people and their fascinating influence on Guernsey’s recent past. It starts at the Liberation Monument, erected in 1995, and made of 50 layers of granite to represent the 50 years of freedom since 1945. The walk ends with a traditional Guernsey Afternoon Tea. Yum! Having been treated to the talent of Guernsey chefs, you might want to add a few recipes to your own collection … Seafood is of course very central to the local cuisine, but as you might not be as lucky as us with our incredibly fresh supply, we thought we would share the secret of the Gâche, the pride of the islander’s baking. 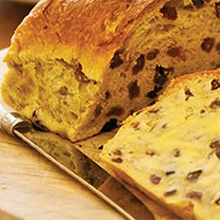 You will find the full recipe on at www.nationaltrust-gsy.org.gg. Enjoy! This entry was posted in Guernsey Events and tagged Tasty Walks. Bookmark the permalink.